Dr. Reza Abrishamchian is a cardiothoracic surgeon at MedStar Union Memorial Hospital and is board-certified in general and thoracic surgery. He has more than 10 years of experience post-training in all modalities of cardiac surgery from open procedures to minimally invasive. Among his interests are coronary bypass surgery, valve surgery, mitral valve repair, aortic reconstruction including endografting, and heart failure surgery. He is deeply rooted in his commitment to determining the best surgical procedure and approach based on each patient’s individual needs, lifestyle, risks and benefits. Recognizing the significant and potentially life-changing implications of cardiovascular surgery on his patients, he firmly believes in involving patients in the surgical decision process. This keeps them more engaged, connected, and subsequently results in better outcomes. Dr. Abrishamchian recognizes the importance of quality measures for consistent improvement of patient care. In his most recent role as chief of cardiac surgery at Washington Health System, he established their Cardiac Surgery Quality Assurance Committee where he was instrumental in increasing the quality of the cardiac surgery program to its highest rating as measured by the Society of Thoracic Surgeons. 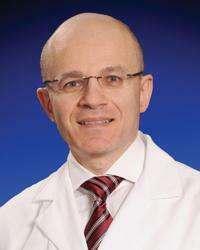 Dr. Abrishamchian is a member of the Society of Thoracic Surgeons, American Medical Association, International Society of Minimally Invasive Cardiothoracic Surgery, European Association of Cardio-Thoracic Surgery, and he is a Fellow of the American College of Surgeons.